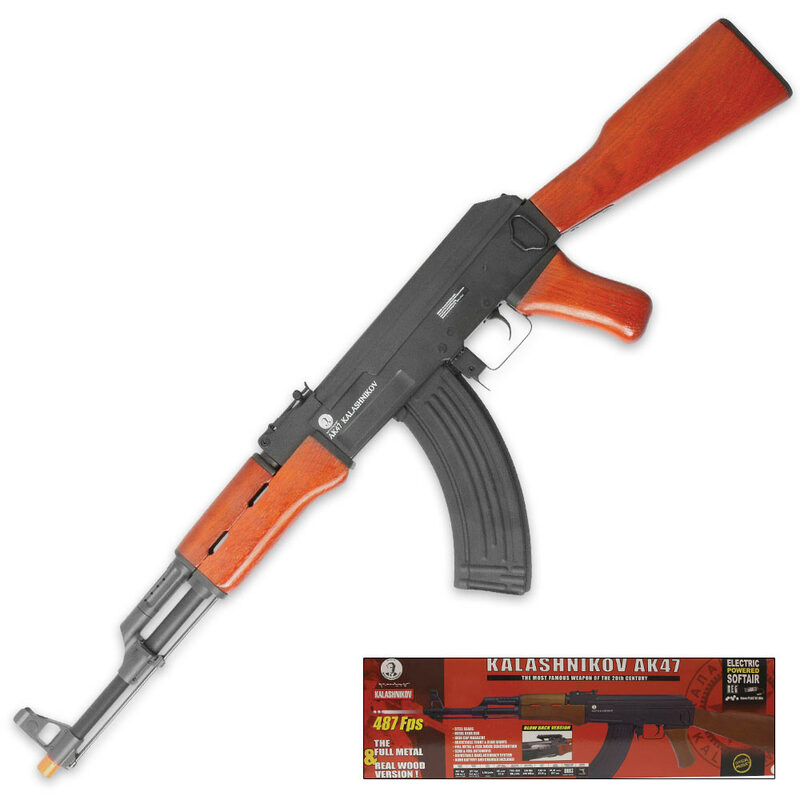 Kalashnikov AK47 Automatic Electric Gun | BUDK.com - Knives & Swords At The Lowest Prices! The AK47 Kalashnikov is probably the most famous weapon of the 20th Century! This is a fully licensed and trademarked Kalashnikov, making this a legitimate and collectable Automatic Electric Gun (AEG). Weighing in at over 10 pounds, it feels as real as they come with its metal and wooden construction. It has a V.3 metal gearbox, which makes it a top performing and highly durable competition grade airsoft rifle. Not only is this rifle top notch in power by category, but in accuracy, as well. It features an adjustable rear sight and front and rear sling mounts. The electric AK47 Kalashnikov is powered by a rechargeable 8.4v NiMH battery pack (included with charger) and comes with a 550-round magazine.